We have over 30 years of experience in the Marine Industry. 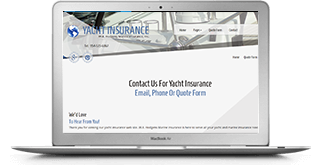 W R Hodgens Marine Insurance, Inc. provides quotes from the Major A rated Marine Insurance Companies to assure our yacht insurance clients select from the most competitive premium quotes. Over 30 years of providing yacht insurance, and we’re still going strong! WR Hodgens Marine insurance covers all kinds of yachts, including Motor Yachts, Trawlers, Sailboats, Catamarans, Cruisers, Go Fasts, Sportfish and more. Our Insurance Service is rated Excellent! When you obtain a Quote and insure your yacht through W.R. Hodgens Marine Insurance, Inc. you receive great support. 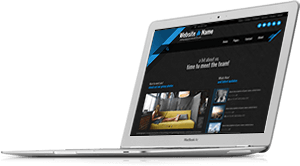 Check out what W.R. Hodgens Marine Insurance, Inc. offers. 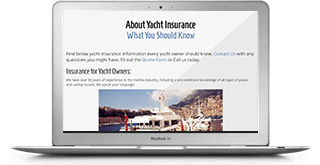 Your yacht insurance support continues long after you purchase a policy. Hodgens Marine Insurance, Inc. is here to answer all your questions with satisfactory answers to what your policy covers, where coverage is offered and much more. We Want Your Business Long Term! W.R. Hodgens Marine Insurance, Inc. is here for many years to come. 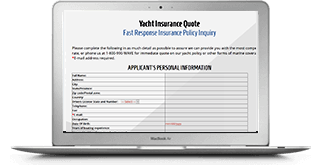 Fill out the Quote Form which we will send to Marine Insurance companies. We will help you analyze the coverage you need and additional coverage for cruising areas, trans-ocean, tenders and crew. Get the insurance policy you want. Call us toll free at 1-800-990-9283 or Contact Us through our website, we'll discuss the details. Get a Competive Quote from leading insurance companies with A ratings. Consult with us to make a decision which is the best insurance policy with coverage you want .